Ever since The Woods at Issaquah was built in the early 1980’s, and Morgans Ridge in the mid-1990’s, we've had covenants to ensure consistent roofing materials throughout the neighborhood. These covenants are based on the belief that a permanent commitment to consistent and high quality roofing will help the neighborhood maintain its appeal over time. The covenants for The Woods specified cedar shakes. Since then it has become apparent that cedar shakes are not the best choice for everyone. They tend to have to be replaced every 15-20 years, present a potential fire-hazard, and are increasingly expensive. In addition, all but the most expensive available cedar shakes have dwindled in quality in recent years. Over the years the Board has received consistent feedback from homeowners that alternatives to cedar shakes should be considered. 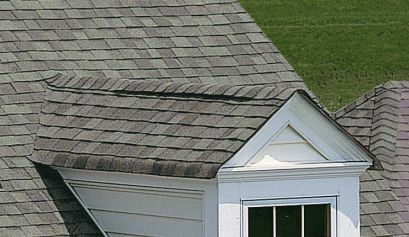 Additionally, homeowners have agreed that only high-quality composite roofing materials that ideally emulate the consistent cedar-shake color and look should be approved. With feedback in-hand, the following list of roofing materials have been accepted for installation in the neighborhood. To learn more about these materials - click on the links to visit the manufacturers' web sites. Before installing a new roof, you must submit a request to the Construction Compliance committee. The above materials should easily be approved. Other high quality-roofing materials with the color and appearance of new or weathered cedar shakes will also be considered, but the homeowner will have to make a case and and submit to the Construction Compliance committee. If the material is accepted, it will be added to the above list.